Khalifa Industrial Zone Abu Dhabi (Kizad) has launched a new Polymers Park, which is set to be a base for plastics manufacturing in the region. Located in Abu Dhabi, the park is expected to produce 300-400 kilotonnes of plastic products a year and create up to 7,000 new jobs, contributing $2.5 billion to GDP by 2025. The potential export market for the park is estimated at $500 million annually, and it will ensure Abu Dhabi is a hub for developing the latest innovations in sustainability and technology in the industry, including new and advanced and polymer technologies, such as composites and 3D printing. The strategic collaboration framework between Abu Dhabi National Oil Company (Adnoc) and Kizad Polymers Park aims to accelerate investment and innovation in the region’s plastics industry. Samir Chaturvedi, Kizad CEO, said: “Abu Dhabi is the ideal location for polymers converters looking to reach both regional and international markets. 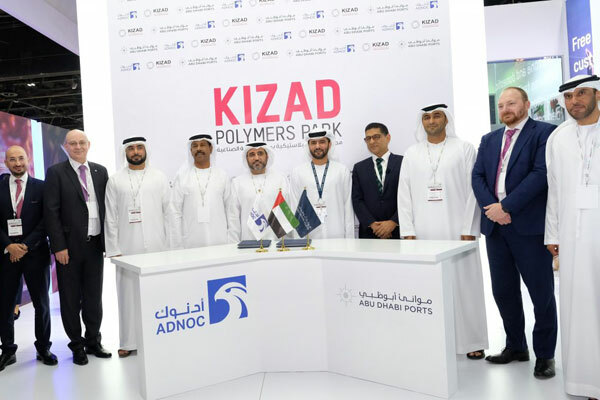 Tenants at Kizad Polymers Park will benefit from access to raw materials from regional producers and connectivity to global polymers product demand through Kizad’s major transport links, which include Abu Dhabi Ports’ flagship deep-water port, Khalifa Port and international airports. Kizad Polymers Park will cater to a variety of different polymers segments, including industrial use, such as packaging, construction, and semi-finished products; end-use customers, such as household goods, agriculture and hygiene products; material science, including compounded and composite materials, and 3D Printing. Crucial to supporting the circular economy are polymer recycling companies. The park will host a vibrant polymers ecosystem, including diversified polymers space and raw materials, production systems and technical support, polymers distribution and trading, and logistics. Kizad’s world-class infrastructure includes a diverse range of plot sizes, excellent utility networks and ready-to-move-in light industrial units and warehousing, while the close proximity of Khalifa Port offers incredible connectivity to markets around the world via major shipping lines. Meanwhile, foreign firms can take advantage of 100 per cent foreign ownership via the free zone with the benefit of full repatriation of profits or benefit from the park’s flexibility and choose a mainland-based license instead.